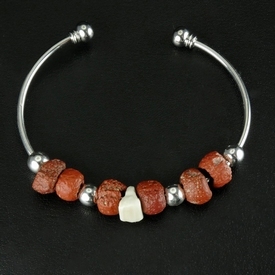 Open bracelet with Roman red glass and shell beads. 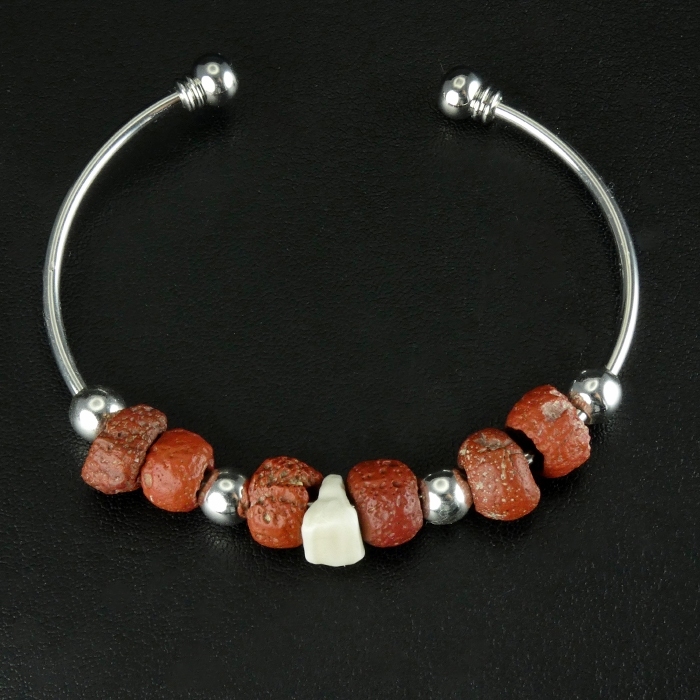 The authentic Roman beads and decorative spacer beads are strung on a contemporary classic style bracelet with decorative knob terminals. Inspired by timeless classic designs we offer affordable jewellery with Roman glass beads, combined with contemporary hoop earrings and bracelets. 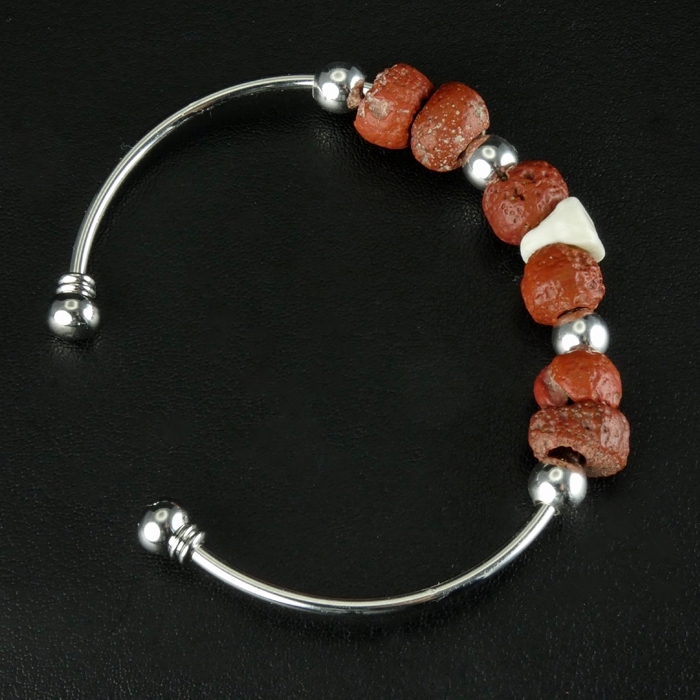 The authentic ancient and Roman beads are interspersed with decorative spacer beads to create a more contemporary look and wider selection to choose from. 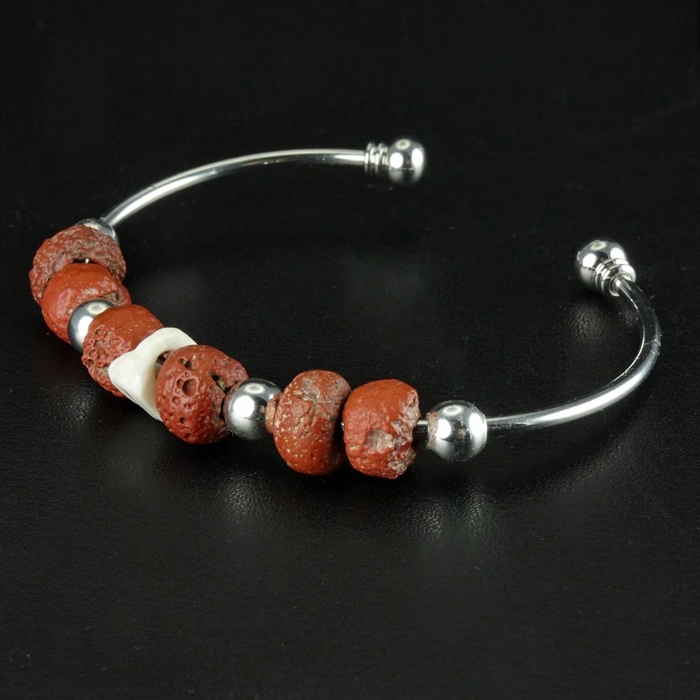 The bracelets and spacer beads are all made of Designer Quality material and are nickel-free. 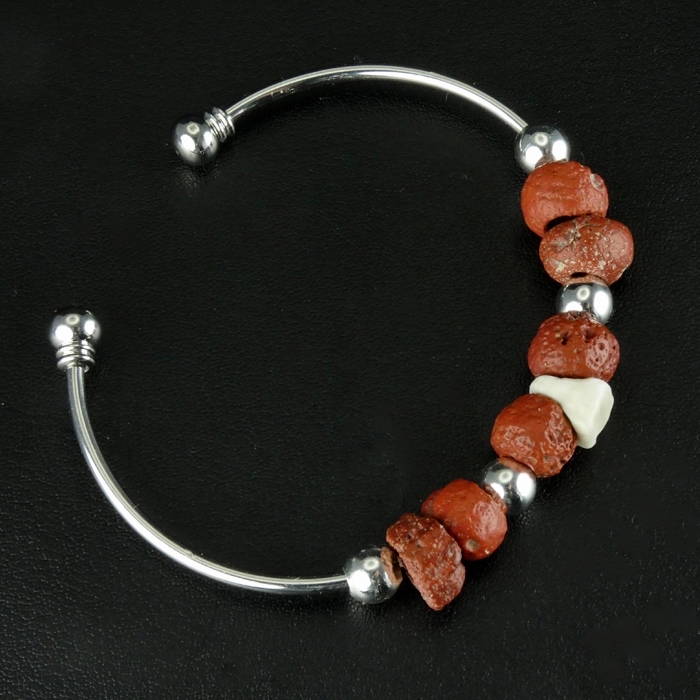 The hoop earrings are made of silver or gold plated Designer Quality and nickel-free. 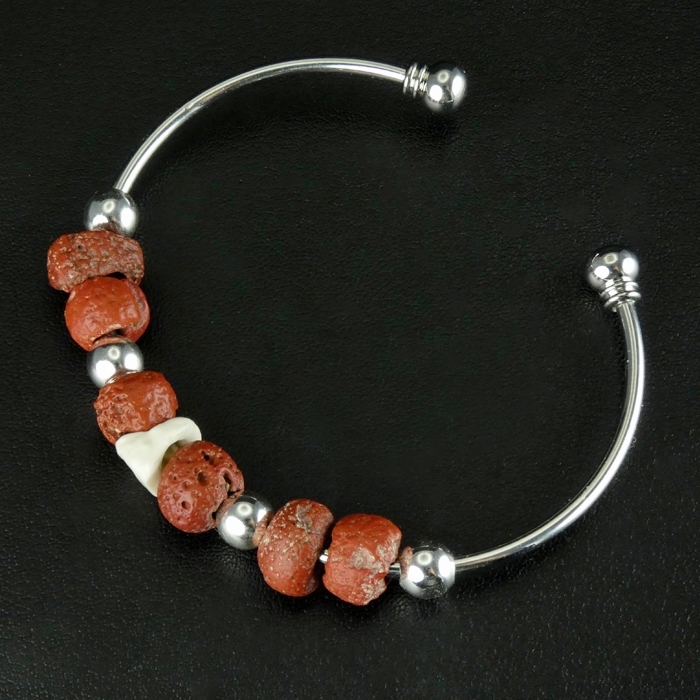 All beaded jewellery is restrung with contemporary material to make it wearable or to facilitate putting it on display. 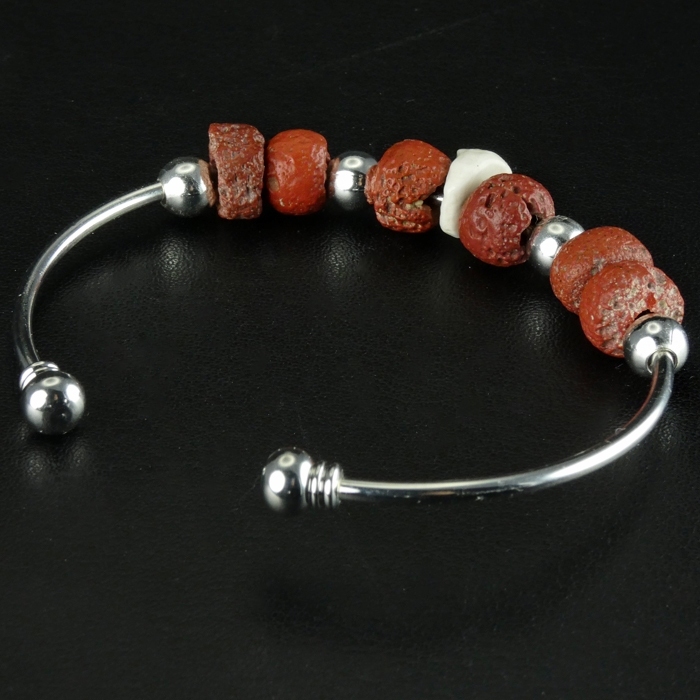 Every authentic ancient bead is slightly different in shape or color shade and shows different signs of wear or the passing of time (iridescence). This adds to the charm of each piece and makes every composition unique. Browse our large selection to discover matching pieces, other classic or contemporary designs. Upon request we can make small changes to an existing piece or discuss the possibilities of creating a new design according to your personal preferences. The jewellery will be delivered in a jewellery box or cardboard box with display window to allow for safe storage and secure protection during shipping. Certificate of Authenticity is available upon request (pdf-format).